Operation Mistletoe by Elizabeth Maddrey is a wonderful Christmas novella. I always love books by Elizabeth Maddrey, but this one is really special. It is more than just a warm, fuzzy, feel-good story, it is about the real meaning of Christmas. 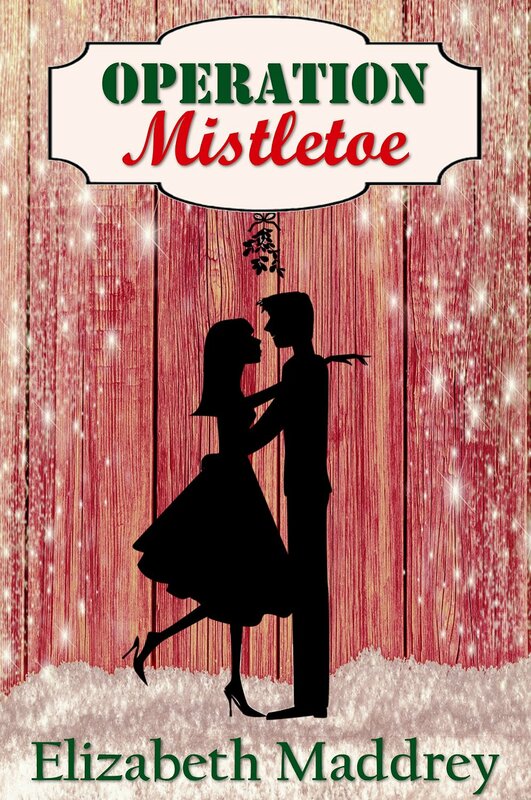 Twenty eight year old Tori dislikes Christmas after ten disastrous ones, and is horrified when she is told to go and interview Gabe, a company director, about his Christmas lights display to raise money for Operation Mistletoe. Operation Mistletoe is a charity founded by Gabe to help bring Christmas to the forces men and women serving overseas. It is more than just gifts, it is showing them Jesus. 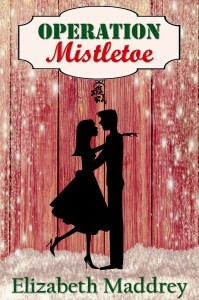 Operation Mistletoe has Jesus at the centre of the novel. It is not a ‘preachy’ read. It shows characters living out their Christian lives, that then attract others to Jesus. It is about walking the walk. The novel deals with the theme of forgiveness, showing that it is an area that everyone struggles with. The Christian characters are all very ‘real’ as they not only have troubles in this area but also can struggle with controlling their temper too. Within Operation Mistletoe the gift of hospitality is practiced as Gabe opens his home to those who would otherwise be alone. Elizabeth Maddrey shows that as well as relatively new Christians in the novel, there are also back slidden ones. It is important to keep focussed on Jesus and to read His word daily. If anyone is in Christ, he is a new creation. Everyone has a past and a life before they met Jesus, and Elizabeth Maddrey demonstrates within the novel that the old life is gone, and the new is here. An absolutely wonderful novella, and one I intend to add to my list of ‘must read’ Christmas stories each year. Give yourself a treat – grab a coffee, a comfy chair and a copy of Operation Mistletoe, you’ll be glad you did. Operation Mistletoe releases on Amazon UK kindle on 1st December 2015 but you can pre-order it today.